Pokémon Go enjoyed immense popularity in the weeks and months following its 2016 release. It's since tapered off, but the game is likely to see a resurgence this fall with the release of two new Nintendo Switch games that borrow heavily from Go's gameplay and feature some cross-platform elements. One of those elements is the Poké Ball Plus, a spherical Switch controller that doubles as a Pokémon Go Plus-style smartphone accessory, allowing players to catch monsters in the mobile game without interacting with their phones. When paired with a phone, the Poké Ball Plus seems like it'll function identically to 2016's Pokémon Go Plus: it'll allow Pokémon Go to track walking distance with your phone's screen off and vibrate to alert you to nearby critters, which you can then attempt to catch by pressing a button on the ball. The Poké Ball has a teeny-tiny 220 mAh battery, and Nintendo lists the battery life as approximately three hours — not great, but at least it charges over USB-C. 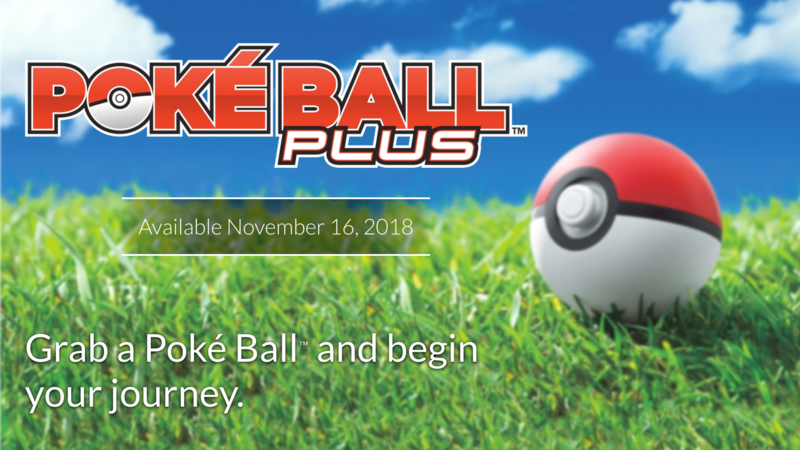 The Poké Ball Plus will be available on November 16. While it does work with Pokémon Go, the Poké Ball Plus looks to be primarily a Nintendo Switch accessory: it has a joystick, a speaker, and a number of sensors that seem to only be used for playing Pokémon Let's Go Pikachu and Pokémon Let's Go Eevee, the forthcoming Switch titles that release the same day. If you're solely interested in Pokémon Go, the wearable Pokémon Go Plus is a less cumbersome (and undoubtedly less expensive) alternative.